Mk1 2.5 Petrol Auto 5 Door. 2.5 Petrol - Automatic - Gearbox ECU - Part Numbers UHC000120 / HD97J099 - In good working order. LAND ROVER. This part was removed from a Right Hand Drive Vehicle. Compatibility is a guide only. 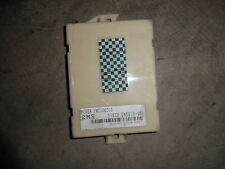 ECU NNN500340 / BMW 7 792 938 / BOSCH 0 281 010 811. This will be suitable for Freelander 1 TD4 facelift 2004-2006. Kit includes Chip from key. Whenever possible, we provide the part number. If in doubt, ask. Suitable for Freelander 1, 3- and 5-door. This module sits behind your interior fusebox. Whenever possible, we provide the part number. If in doubt, ask. unit 1, zone 4A. JJ Car Parts ltd. Paragon Way. Removed from: Land Rover Freelander 2 2.2 TD4 2007. Part number: 940.0042.02. 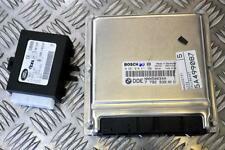 ECU NNN000150 / BOSCH 0281010811 / BMW 7 791 483. This will be suitable for Freelander 1 TD4. Kit includes Chip for the key. BLACK TYPE - check yours. Whenever possible, we provide the part number. This will be suitable for Freelander 1, 2001 onwards. Whenever possible, we provide the part number. If in doubt, ask. unit 1, zone 4A. JJ Car Parts ltd. at their own expense. 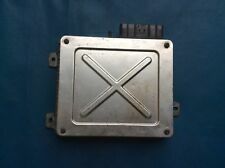 Land Rover Freelander 1 anti-module de vol YWC000960. Ce sera adapté pour Freelander 1. CV7 9EP Coventry. unité 2, zone 3A. JJ Car Parts Ltd. À propos de nous Chaque fois que possible, nous fournissons le numéro de pièce. 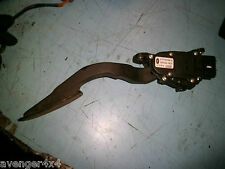 Land Rover Freelander mk1 antivol / module ANTIDEMARRAGE YWC500260. Cela sera adapté pour Freelander 1, 2001. Veuillez vérifier votre numéro de pièce. CV7 9QS Coventry. Paragon Way. unité 1, zone 4A. Kit de Land Rover Freelander TD4 manuel ECU NNN500340 / 7792938 YWC500261 EWS, puce. Kit ECU Land Rover Freelander TD4 NNN500340 / 7792938 EWS YWC500261, puce. NNN500340 ÉCUS / BMW 7 792 938 / BOSCH 0 281 010 811. 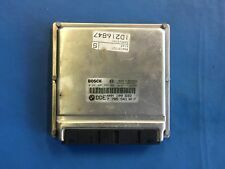 ECU NNN000150 / BOSCH 0281010811 / BMW 7 788 578. This will be suitable for Freelander 1 TD4. Kit includes Chip for the key. WHITE TYPE - check yours. Whenever possible, we provide the part number. Removed from: Land Rover Freelander 2 2.2TD4 2007. Engine ECU: 7792938. Engine Size: 2.0 TD4. Make:Land Rover. Ignition barrel / Steering lock with transponder ring. 1 x ECU Kit. 1x OSF door lock. Key Reciever : YWY500070. 1x Key 1x Fob. Freelander 1 - TD4 - All. Terrain Vehicles LTD is a family run Independent Land Rover and Range Rover specialist garage. All our used parts are tested by ourselves before we remove them from the vehicle. Genuine Land Rover Freelander 2. 2006-14 park aid module for vehicles with rear only sensors fitted. HIGHLANDS, AN OFFSHORE ISLAND OR. IF THERE ARE PART NUMBERS IN THE ADVERT, THEY'RE THERE FOR A REASON. THIS MUST BE CHECKED PHYSICALLY AGAINST THE PART YOU ARE REPLACING. IF IT DOESN'T MATCH THEN IT IS MORE THAN LIKELY WILL NOT WORK ON YOUR CAR. 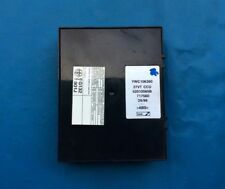 This listing is for a genuine Land Rover used parts This Engine Ecu is from a 2001 Freelander 1 2.0 TD4 Please match current part number of NNN100720 as shown in the picture. Been in storage for a long time Please check part numbers before purchasing. Call Lee on 07802 494929 for further info. Postage is to mainland UK only, please email for quote anywhere else. 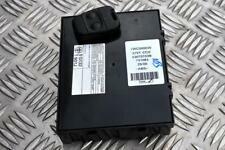 Auto gearbox ECU part number UHC500150. unit 1, zone 4A. Whenever possible, we provide the part number. If in doubt, ask. at their own expense. Removed from: Land Rover Freelander 2 2008. Part number: 7G9N-10D893-AB. ECU NNN100720 / BOSCH 0281010300 / BMW 7 788 053. This will be suitable for Freelander 1 TD4 pre-facelift 2000-2003. Plug and play. Good for auto and manual. Kit includes Chip from key. Whenever possible, we provide the part number. FREELANDER 1996 - 2006. At Genuine Parts UK NI LTD, we speacialise in getting the parts you need fast and hassle free, all of our parts are genuine, we will work with you as fast and efficient as we can to service your needs. Removed from: Land Rover Freelander 2 2007. Part number: 6G92-15K866-AK. Suitable for Freelander 1 - TD4. This module sits behind your interior fusebox. Whenever possible, we provide the part number. If in doubt, ask. unit 1, zone 4A. JJ Car Parts ltd. make Supersized seem small. Removed from: Land Rover Freelander 2 2008. Part number: 6G92-15K866-BJ. COMPATIBLE WITH FREELANDER PREFACE-LIFT MODELS 1.8L PETROL BETWEEN 1997 -2006 YEAR. ALSO MOST OF THE BODY PARTS WILL FIT Land Rover FREELANDER 2.0D TD4 1997-2006 (PRE-FACE). 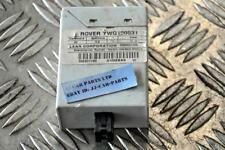 IT MAY ALSO FIT ROVER 75 MG ZT AND T 1.4L, 1.6L, 1.8L IF PART NUMBER MATCHES. LAND ROVER FREELANDER 2005 2.0 DIESEL ENGINE ECU. IRELAND AND CHANNEL. SCRATCHES, SCUFF MARKS ALL OVER & NEED A GOOD CLEAN. We cannot be held responsible if the item does not fit your vehicle. ARE ORDERING THE RIGHT PART. Suitable for Freelander 1, 3- and 5-door. This module sits behind your interior fusebox. Whenever possible, we provide the part number. If in doubt, ask. Cash on collection. ECU NNN100710. unit 1, zone 4A. Whenever possible, we provide the part number. If in doubt, ask. Chip from key. at their own expense. Cash on collection. Module ANTIDEMARRAGE YWC106631. ÉCU NNN100710. Chaque fois que possible, nous fournissons le numéro de pièce. En cas de doute, demandez. JJ Car Parts Ltd. This will be suitable for Freelander 1, 3- and 5-door facelift 2004-2006. Whenever possible, we provide the part number. If in doubt, ask. unit 1, zone 4A. JJ Car Parts ltd. Paragon Way. at their own expense. For Sale is a ECU Transmission Control Module. Part Number: 7G9N-14C336-DB. Removed from a 2012 LR2372 LAND ROVER FREELANDER 2179cc Diesel 5 Door Estate. Please see item description for more information, you will receive everything you see in the images. This will be suitable for Freelander 1, 3- and 5-door facelift 2004-2006. Whenever possible, we provide the part number. If in doubt, ask. unit 1, zone 4A. JJ Car Parts ltd. Paragon Way. PART NUMBER:MKC104393. FREELANDER AND OTHER K SERIES ENGINES. WE ARE AN INDEPENDENT LAND ROVER REPAIR AND PARTS CENTRE. 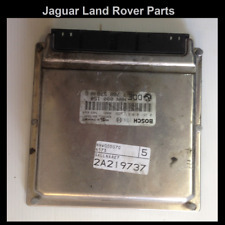 WE HAVE A WIDE RANGE OF GOOD QUALITY USED PARTS AS WELL AS NEW FOR DISCOVERY, RANGE ROVER CLASSIC AND DEFENDER PARTS. Land Rover Freelander 2 2007 To 2010 ECU Power Tailgate.